Yelp is awesome. I was really glad to see this place adequately nailed before I arrived. And I say “nailed” as in “summed up” rather than “punished.” These are not bad donuts. They are, however, insanely sweet. This isn’t really a surprise, since every donut they serve is a plain raised glazed donut topped with an additional layer of frosting, glaze, or decoration. The result is sickeningly sweet in a way that not even the most inveterate dessert lover could enjoy. The bacon reviews here are also right on the money: it has all the nuance of a splutter of Log Cabin syrup over a grocery store yeast donut. They’ve used the absolute lowest quality bacon you can imagine and barely browned it at all. I had so many pieces of flaccid, rubbery bacon on my donut that wished I hadn’t bothered. It did remind me of the apple maple bacon donut at Dynamo Donuts in San Francisco and how amazing their donuts are in general, though. That comparison is rarely going to come out on the side of the non-Dynamo pastry purveyor, but comes out particularly bad for this one. Again, not bad donuts. Just boring, sugar-blasted, and absolutely undeserving of the prices. I woke up and discovered that Dynamo has two more flavors I’d not yet tried, so I made the early morning call and asked them to put aside a box. ‘Twas a small box. What followed was a full-blown donut melee. I won. Well, Sara Spearin really won, having not only scored my donut money but $20 for a t-shirt. But I felt like a winner, and that’s all the really matters, right? Loria was scheduled to help her sisters set up the WonderCon booth, so Ainsley and I had an afternoon of cuddle time on the docket. Her sisters arrived in town and declared themselves in need of a dim sum fix, so I was off like a shot to a lunch spot that, after reading a bit, I decided I must try and discovered that this was probably my last chance on this trip to do so due to some upcoming renovations. Read that first sandwich name again. Take a second to reflect. Add to it that it is served with a slice of heirloom tomato which reminded me all over of what an actual tomato tastes like, butter lettuce, and black truffle salt, an ingredient that I have come to appreciate the power of in my home kitchen. I loved this sandwich so much that had I not been scheduled to take care of the little girl, I might have run back up to see if I could score another one. And I nearly strapped her into the baby Bjorn and did so anyway. It defines the word unctuous, with just enough herb from the lettuce and acid from the tomato to balance things out. And as over the top as foie gras on a sandwich sounds, duck prosciutto is even more so, in a good way. I’d read a few reviews talking about the sandwich being very rich, so we decided to venture a try on chef Ryan Maxey’s latest brain child, a smoked pork loin and chorizo sandwich. It seems odd to call a pork and sausage sandwich light, but it certainly felt light next to the foie gras. Very thinly sliced pork loin with the perfect amount of smoke, just a touch of chorizo, and a creamy sauce. If I’d gone back for another foie gras, I might have needed to grab one of these to throw in the fridge and eat later on. I’d also read nice things about 4505 Chicharrones, so I grabbed a bag. Quick side note: after some hard-won weight loss over the past few years, I am a diet-controlled diabetic. When I was first diagnosed, I turned to pork rinds as a low carb snack for my Friday night game nights. Although they provided me with something to cram in my gob to help me avoid eating the other snack delights that generally grace the gaming table, even the hot variety that I could find locally available had the personality, texture, and flavor of packing peanuts. This goes by way of saying that my expectations for what a chicharron could be were fairly low – I figured I’d done my time in that particular circle of gastrointestinal hell and they just weren’t my thing. Here’s to my sweet pork skin. I was so very wrong. These little crunchy treats are light and airy. They coat the inside of your entire mouth from the first bite with a pleasant film of porky goodness. The seasoning on them is at once spicy, sweet, and happiness inducing. Had I gone back up with Ainsley to grab another couple of sandwiches, several bags of these would have been acquired, too. Fortunately, although I didn’t make it back up to North Beach for food, we did run across the 4505 booth at the Ferry Building just as they were closing down on Saturday and snagged another couple of bags, including a big one that I shared with my gaming group this past Friday. I was crushed to find out that FDA regulations prevent them from shipping out of state, but plans are in the works to have locals acquire a life-giving box of them to be smuggled across state lines. 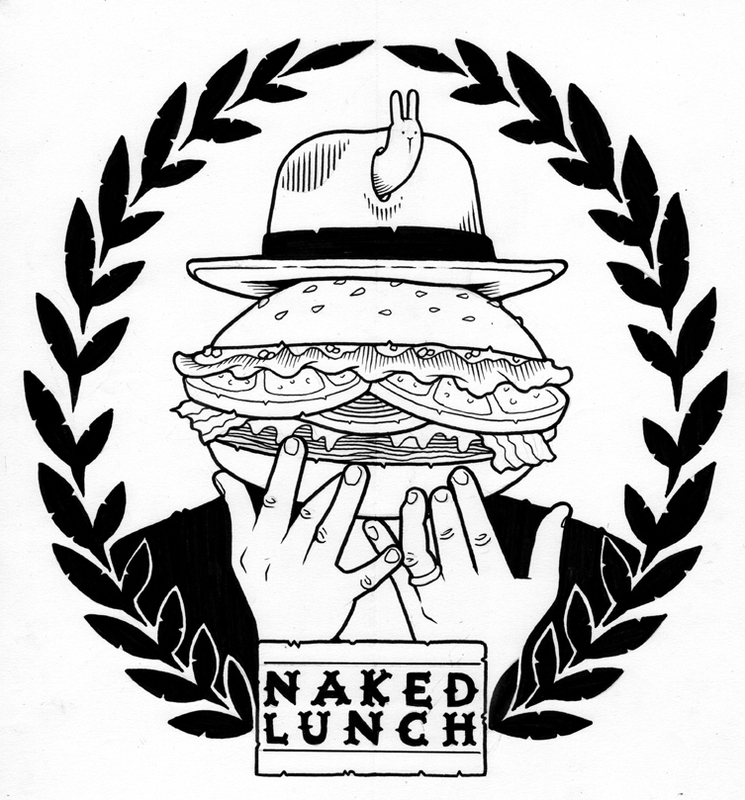 Like Dynamo, Bi-Rite, and Out the Door, Naked Lunch has entered my list of places that I’ll need to hit at least once during a trip to San Francisco in order for the trip to be complete. There is some crazy alchemy going on there and I wish I could make myself a regular customer. Hear that, universe? Move the Naked Lunch madmen to Utah, please. Ainsley and I played away the afternoon. Mom arrived back at the room hungry, which was good because we had reservations for dinner. We had every intention of hitting this spot during our last vacation in San Francisco, but every time dinner rolled around and I looked at that one, lone map marker way south of everything else, the will to travel left me and we opted for something closer to the hotel. Hungry and excited, we hit the Muni J line and, a rickety train later, we were in Noe Valley. Many pigs died to bring us this meal. They were appreciated by the diners and honored by the chef. We’d loved our visit to Chris Cosentino’s Boccalone in the Ferry Terminal last trip and vowed that we’d make it to his restaurant Incanto this time around. Judging by the pictures on the website, we figured it was upscale enough that we ought to call ahead to make sure that Ainsley would be welcome there. The staff were enthusiastic in their positive response, but we booked an early reservation, figuring that on the slim chance that she might get fussy, there would be fewer diners around to be disturbed. We timed our arrival well: the doors opened as we walked up, and Ainsley had conked out on the train ride over. “Are you adventurous diners?” our server opened his introduction of the menu by asking. Looks like we’re in the right place. Porchetta is a lovely boneless pork roast constructed with layers of pork flesh, fat, and stuffed with herbs and spices. Porchetta di testa is basically the same thing, only instead of using various parts from the entire pig, it uses an entire pig’s head with the bones removed. Alternately, think of it as a very sophisticated and intricate head cheese without the gelatinous bits. The dish was presented with a salad of greens dressed with an acid-heavy vinaigrette. Loria discovered something interesting early on about the dish: the balance was so well-conceived that there were parts of the thinly cut meat that were relatively bland without a bit of the salad to accompany them, but that lit up with flavor with the addition of the acid and herb. I’m really glad we ordered this to start. Our entrees arrived and we eagerly devoured both. The ragu had some particularly light and enjoyable pasta. The standout for me, however, were the pork cheeks. The meat was fork tender and had a deep, deliciously meaty flavor and the onions a sweet note that paired well with it. The polenta was perfectly cooked, creamy and rich. The star of the dish was the sauce. A dark, rich concoction that I bore no shame in mopping every drop of from the bowl. If I have a complaint, it was about dessert. The sticky toffee pudding wasn’t bad, really, just not up to the standard of the rest of the meal. The cake portion of ours was a bit dry, even with generous application of the toffee sauce and ice cream. It also felt a bit small for the $8 price. That small quibble aside, we loved our evening at Incanto. Between our mains and dessert, Ainsley woke up and one of the servers wandered by to play with her a bit. I really got the sense that we were welcome. It’s a warm space with warm people in it. One of my real regrets from the trip is that had we stayed an extra night, we might have been able to make Cosentino’s annual Head to Tail dinner. Maybe it’ll happen the week before the convention next year and we’ll be able to attend. In lieu of that, we’ll invite nine friends there to do one of his whole pig evenings. Up next: somewhere Ainsley ain’t so welcome.